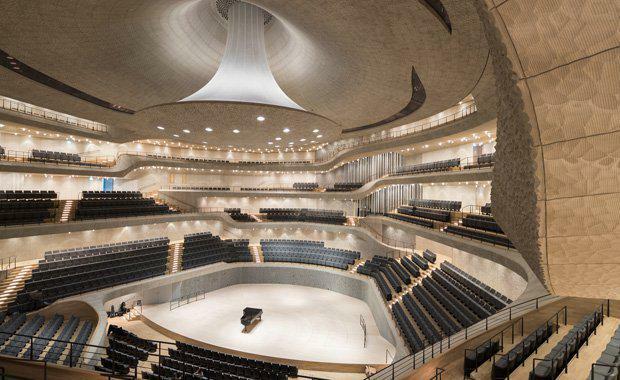 Herzog and De Meuron-designed Elbphilharmonie concert hall in Hamburg was partially designed by algorithms. Herzog and De Meuron worked with famed acoustician Yasuhisa Toyota, who created an optimal sound map for the auditorium. According to Wired, based on the room’s geometry, Toyota figured certain panels, like the ones lining the back wall of the auditorium, would need deeper, bigger grooves to absorb echoes. While other areas, like the ceiling surfaces behind the reflector and the top parts of the balustrades, would require shallower cells. 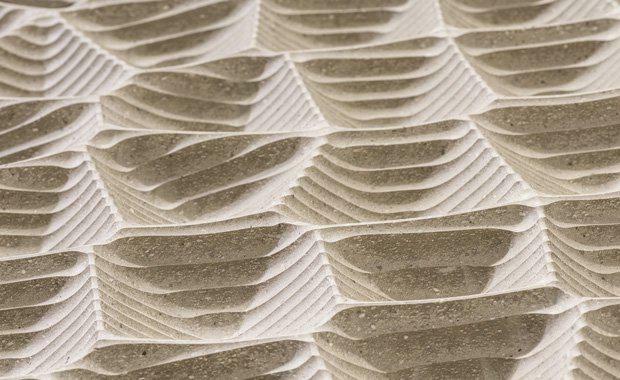 Separated from the rest of the building for soundproofing, the 10,000 individually shaped gypsum fibre panels cut with millimetre precision reflect the sound, dispersing it in a calculated way. A million individual cells ranging from four to 16cm long are cut out from the panels, which balance the sound and reverberation across the auditorium. Deeper and wider cells were needed at the back of the hall, while smaller and shallower holes are located on the ceiling. Toyota built a 1/10 scale model of the interior to conduct his acoustical experiments. “3D modelling was used to determine where to place joints in the panels of this material and then the panels were fabricated at an off-site factory." Toyota said. 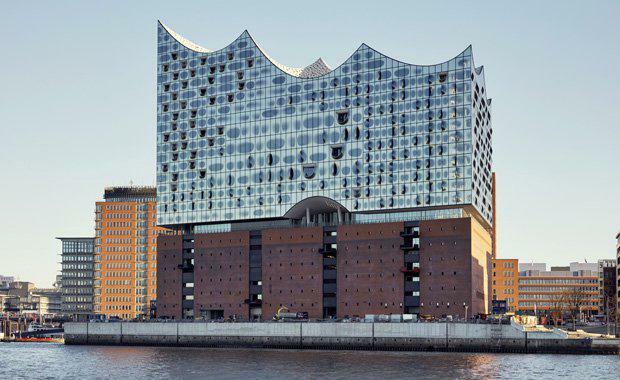 At 50 metres high and with 2100 seats the Grand Concert Hall is the centrepiece of the Elbphilharmonie. The orchestra is placed in the middle of the hall, while the seats rise in a steep incline to encircle it. No member of the audience is seated more than 30 meters from the conductor.